Recently you may have read about the huge variety freerolls available for the PokerNews Cup in Australia this October, right here on UK PokerNews. 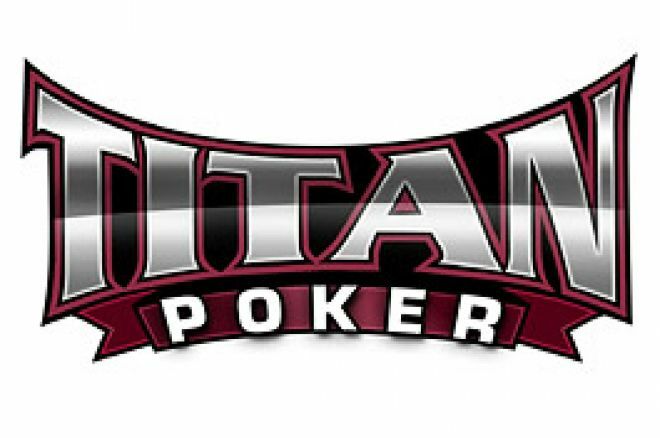 The folks at Titan Poker have now gone one further by offering satellites for this fantastic event. To be held at the Crown Casino in Melbourne, the PokerNews Cup is shaping up to be an excellent tournament! In conjunction with their freerolls, Titan Poker has set up a series of satellites giving you even more chances to secure your seat at the PokerNews Cup Main Event. The PokerNews Cup Australia Super Satellite series includes a weekly Super Satellite which will only set you back $200 + $15 to enter and offers a massive one package per thirty entrants! Included in this package is the entry fee for the Main Event, entry into the $550 No Limit Holdem event, an impressive six night's accommodation at Crown Promenade Hotel and $1500 to cover your travel and expenses. Titan Poker want to make sure you make the most of your journey to Melbourne, Australia and, with this in mind, have included some little extras to make your trip that much more rewarding. Also included in the package is a Healesville Winery tour, which involves a visit to Healesville Sanctuary, a cruise along the Yarra River which winds through the heart of the city, an invite to the Welcome Party and an incredible live and exclusive freeroll at the Crown Casino. For those of you that want the chance of getting your hands on this prize for as little as possible, Titan Poker have satellites daily to qualify for the weekly Super Satellite. Ranging from as little as $3 + 30 to $30 + $3, this is an excellent opportunity to get involved no matter how deep your pockets are. Ed note: Join Titan Poker today and we'll see you in Australia in October!